The above all posts are permanent category recruitment. 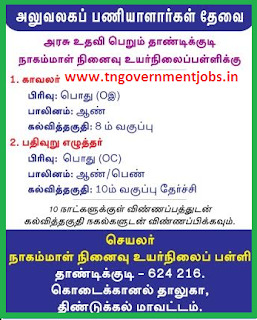 Tamil Nadu Govt 200 point roster system will be applicable. Salary as per Government of Tamil Nadu norms. Interested and eligible candidates may apply with all necessary documents to the Secretary of this school on or before 15th November 2016.